No. 13 Theater shows dramas exclusively, most of them depicting contemporary life. Built in 1970, the theater belongs to Guangzhou Drama Group, a troupe of nearly one hundred actors who perform almost all of the dramas there. The 300-seat theater contains some of the most modern imported equipment, and they recently installed a fully-rotating stage. They do not currently show acts in English, but the management is considering it for the future. The average price of a show here is 60-100 RMB, very reasonable for Guangzhou. The Guangzhou Drama Group, which performs nearly every weekend at No. 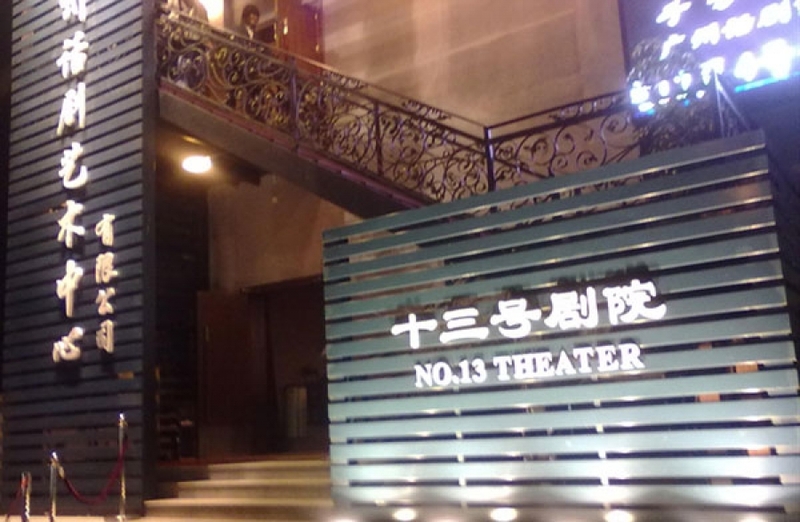 13 Theater, is as acclaimed as the theater itself, having won more than 40 awards, including best director, best actor, best stage design, best story and best playwright.